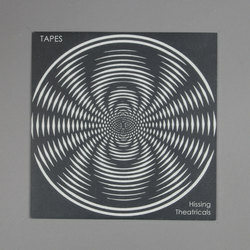 TAPES - Hissing Theatricals EP. Vinyl 12. Bleep. Jackson ‘Tapes’ Bailey sees his 2009 EP reissued on its tenth birthday. There wasn’t much around that sounded like Hissing Theatricals when it first dropped - to be honest, there still isn’t. Hype Williams was probably the closest thing out there to Bailey’s lo-fi blend of dub, chiptune and dancehall. The likes of ‘Gold Love Riddim’ and ‘Hackney Dub’ still beguile all these years later, and modern ears will be able to hear a thread running through this record that links it to Wayne Smith and Madlib as well as contemporary artists like Jai Paul. This new edition of Hissing Theatricals is out, once again, on Jahtari (Soom T, Solo Banton).